Alvarado Construction has successfully completed numerous multi-million dollar commercial, institutional, government, food service, telecommunications, recreational and technology projects throughout the United States. 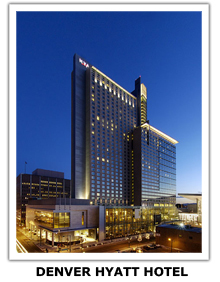 These include office buildings, research laboratories, communication facilities, hotels, restaurants, retail centers, athletic facilities, convention centers and exhibit halls. This broad construction experience has provided the foundation for cost effective performance on construction projects particularly those requiring coordination of diverse activities and major logistical support. Linda Alvarado owner of Alvarado Construction has 35 years experience in large multi-million dollar commercial development, government and institutional general contracting, construction management, design/build, and program management contracts. In keeping with breaking non-traditional roles, Linda Alvarado made history as the first Hispanic (male or female) owner of a major league baseball franchise. As a co-owner of The Colorado Rockies her role is also significant as it marked the first time that any woman was involved in a bid for ownership of a Major League team. 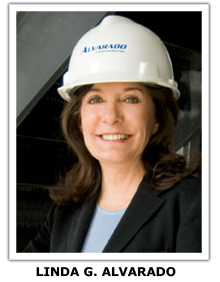 Linda Alvarado is the recipient of numerous awards and has been named by Hispanic Business Magazine as one of the "100 Most Influential Hispanics in America". In 2003 Alvarado was inducted into the National Women’s Hall of Fame and had previously been honored as the recipient of the Horatio Alger Award. Alvarado was honored in New York along with U.S. Attorney General, Janet Reno and poet laureate, Maya Angelou, as a recipient of the prestigious Sara Lee Corporation Frontrunner Award for exemplary achievement and leadership. Her success in business and active community involvement led to her recognition as a trailblazer in her field. Linda Alvarado has been honored twice as The United States Hispanic Chamber of Commerce Business Woman of the Year, The Revlon Business Woman of the Year, recipient of The National Minority Supplier Development Council Leadership Award, and "Brillante Award" by National Society of Hispanic MBA's.